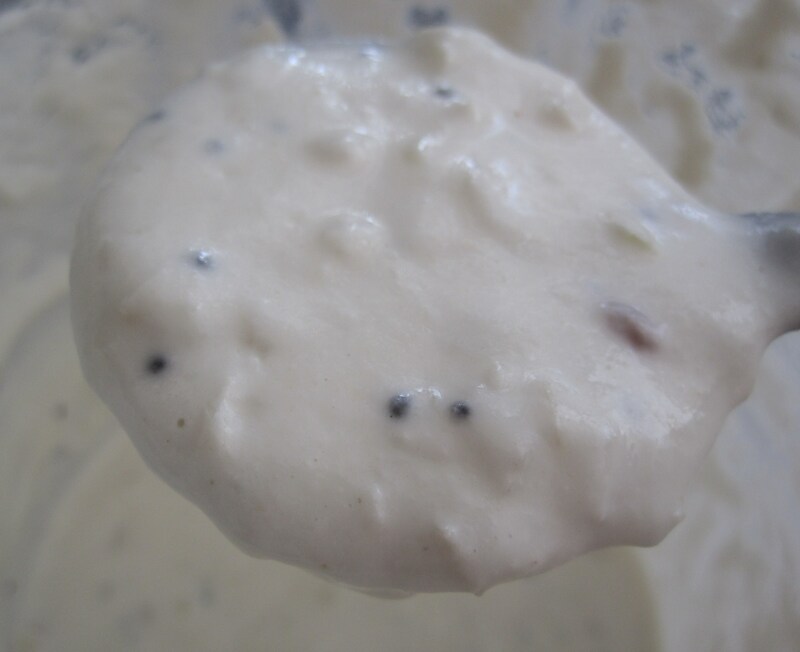 Now, what else can be made with the wonder batter called ‘idli/dosa batter’? Idli on the first day, dosa when it becomes more sour, uthappam of different varieties (recipes shortly) and this time it is Kuzhi Paniyaram. Although there is a separate combination and ratio for exclusive kuzhi paniyaram.. kuzhi paniyaram can be made from the same idli batter. This works out to be an excellent starter with very little oil if made from non-stick paniyaram mould. They can also be a breakfast snack or a light dinner snack. These are no-risk options during travel – would remain soft and don’t need refrigeration to keep them fresh. Kuzhi Paniyaram belongs to Chettinad cuisine – a very popular cuisine belonging to the chettinad area of tamilnadu and hugely popular around the world for its spicy, aromatic flavour . 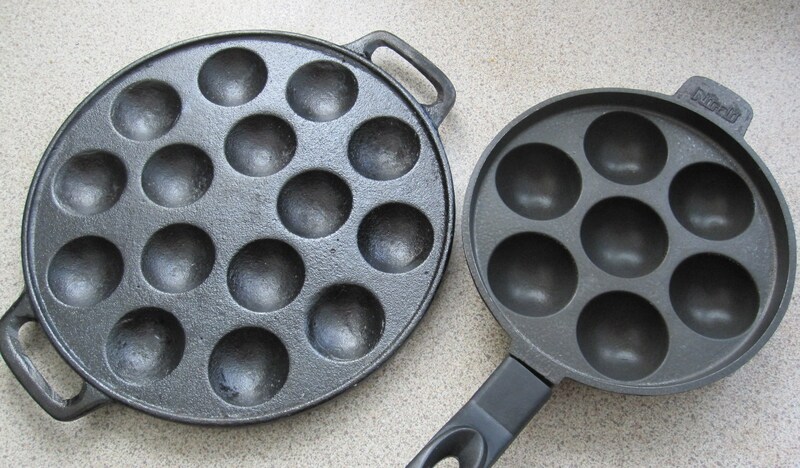 The traditional kuzhi paniyara chatti or kuzhi paniyarakkal or the kuzhi paniyaram mould is made of cast iron and gives the exotic taste of grandma’s kitchen.. but with more concern on oil intake, the non-stick ones are a better option. Paniyaram means a snack and kuzhi means hole or pit. 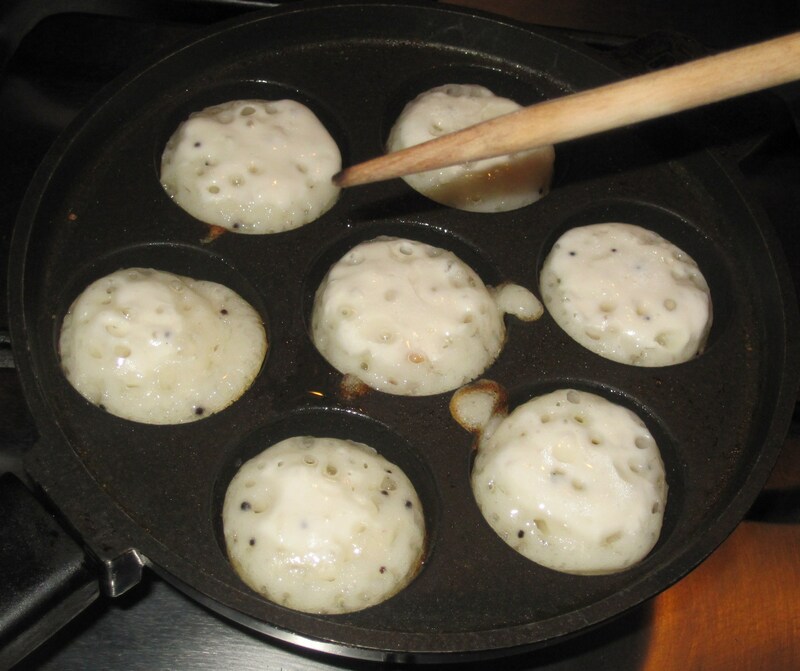 The snack is made from a mould with holes and the final product is in the shape of a soft small ball – depending upon the depth of the kuzhi. The common kuzhi paniyaram mould has seven holes. 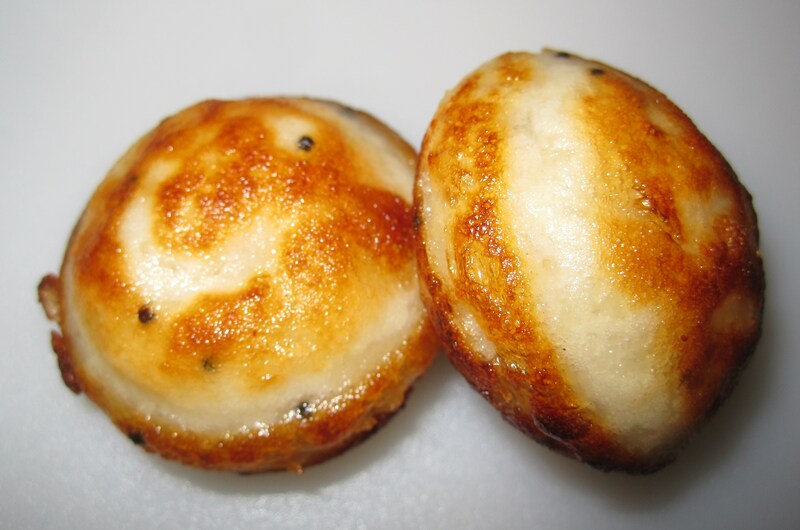 Kuzhi Paniyaram is popular in all the southern states of india in various names. 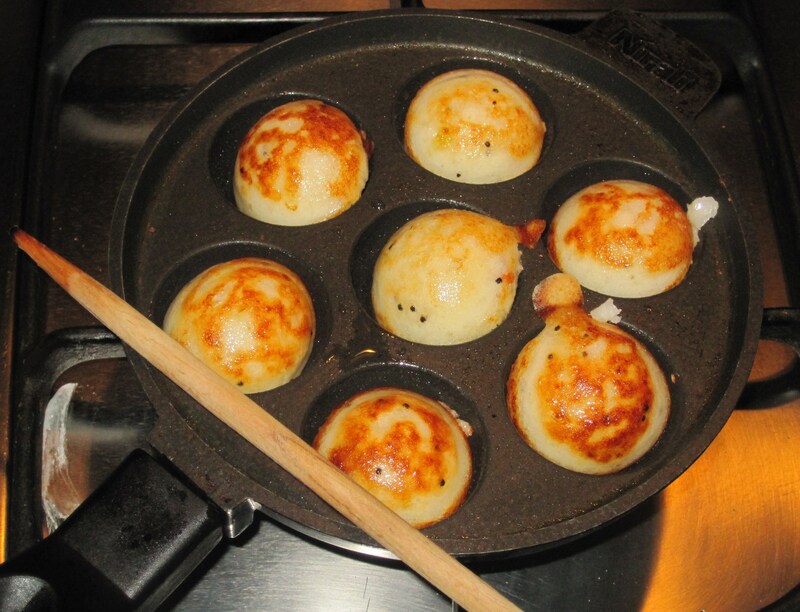 In the Netherlands, the Poffertjes resemble kuzhi paniyarams. Poffertjes are soft, fluffy pancakes made of buck wheat flour and yeast. They are served with powdered sugar and butter. (http://en.wikipedia.org/wiki/Poffertjes). 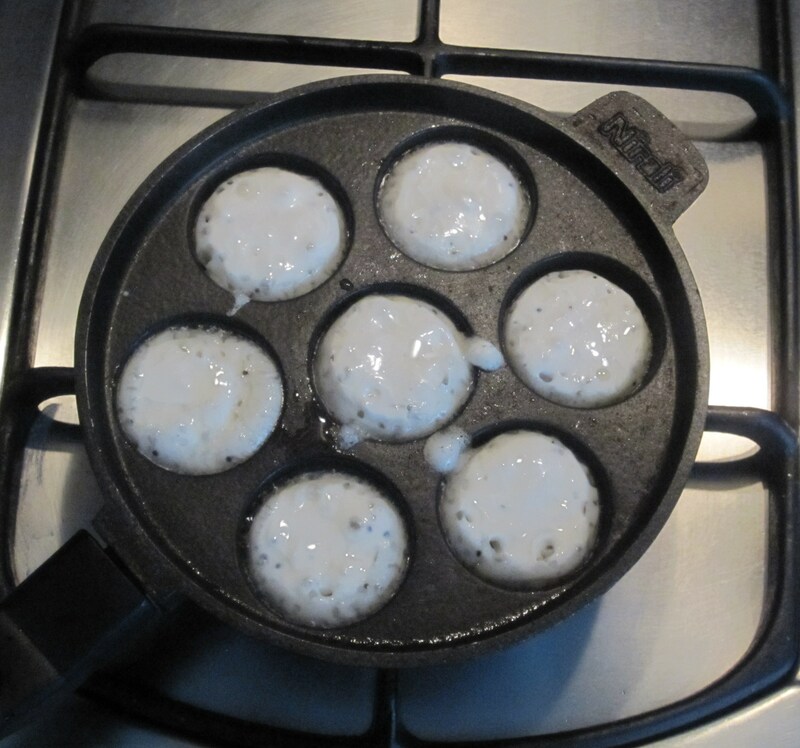 I tried the sweet version of south indian kuzhi paniyaram in the dutch poffertjes mould and found the difference is only in the depth of the mould. There can be sweet or salted spicy paniyarams. Now we make spiced kuzhi paniyaram or the kara paniyaram. 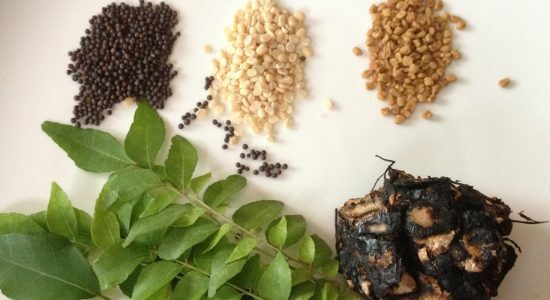 This goes well with coconut chutney or coriander chutney.